In render settings choose render to new window and put in the pixel size you want. 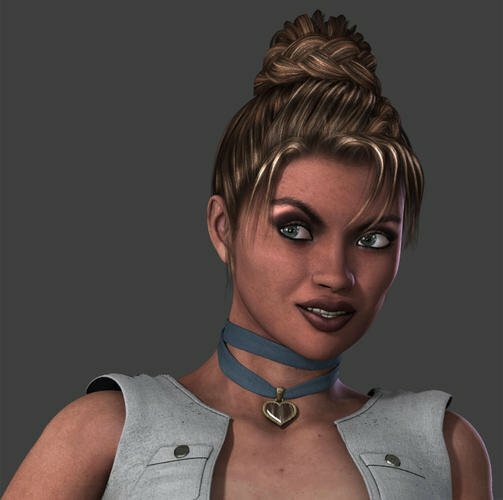 Would you all believe I've had the Girl file for 2 years and was never able to use it.because I couldn't get it to load in DAZ3D, so I did a reset of the download files and finally I have her. Thank you. I need to work out how to make bigger renders. It's probably something really obvious. ETA: Hopefully this render is bigger. I like this. She got a nice ready stance going on like she's actually ready to fight. Same character, a little younger. Well, I finally sat down and updated some of the render/lighting info for the first post. Feel free to let me know of more that should be added. For the hair.. anyone tried applying sub-d to it in DS? would probably make the front look a lot better. I recently stumbled upon this old post. 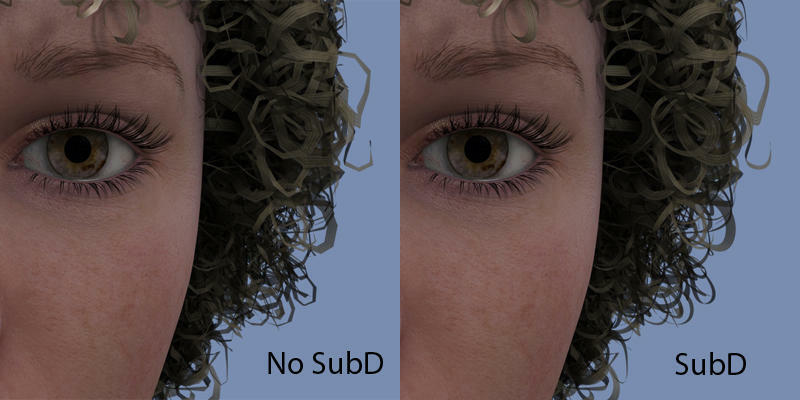 Yes, SubD does make the hair look a lot nicer at close range. Babajaga, that is a beautiful render. Thanks for sharing! Thanks! I just remembered I hadn't bought it yet. 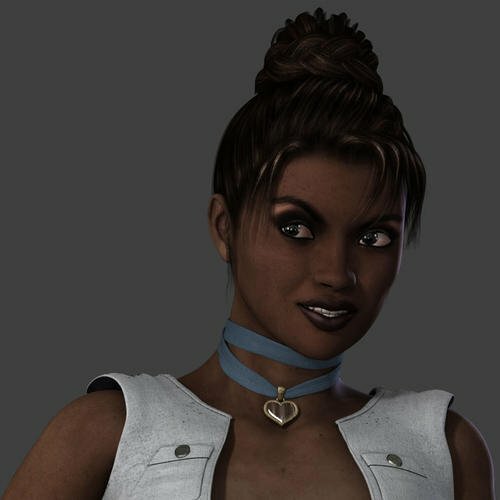 OK, I know this might not be to everyone's taste, but when they had that PC preview sale, I got She Freak 4 for $1.99 and I just had to try her out with a dark skin. 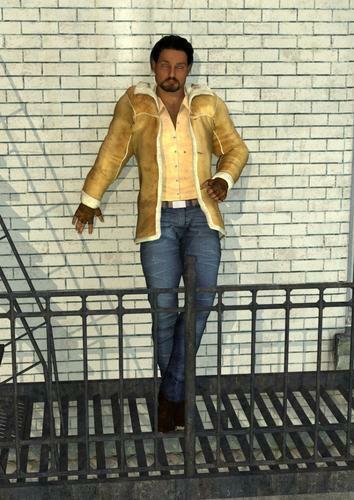 :) This is the Aura texture on SF4 with a few dial spins and the Neftis hair. She's pretty buff. ;) Where did Aura come from, is it sold here at DAZ? I hope this is the right topic to post in but I need help with one of my characters because I'm not sure if she looks quite right. I've tried looking at various reference photos (since I don't get out enough to make real life observations and I live in a Mayberry-like town) but I still feel clueless. I just want to know if she looks somewhat natural or "too fake". I can't remember what base skin texture I used for her or if it's one of mine (I'm not on my work PC right now so I can't check) and I probably need to work more on the skin material shaders since darker skin reacts differently to light... I'm guessing. 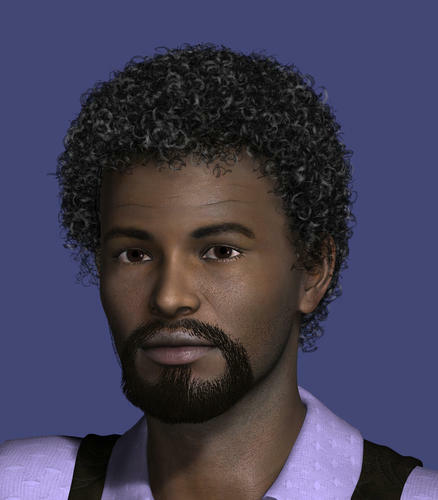 Preview of the character is attached. If you need a better/clearer/whatever type image just let me know and I'll post one. This just happens to be the only image of her I have on this computer. 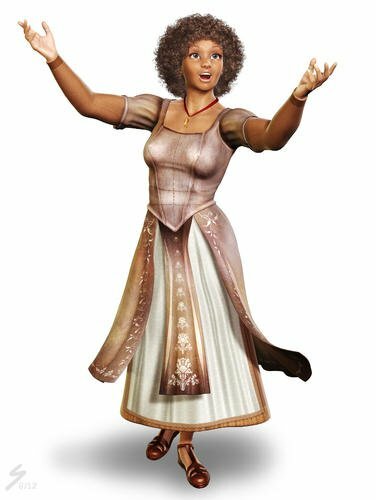 She's supposed to be of a mixed African and Indian (as in India) descent. Her name is Mina Avanti and she's a character from my graphic novel. I need to make sure she's looking right before I finalize my novel illustrations for publishing. I thank you for any and all help and opinions! 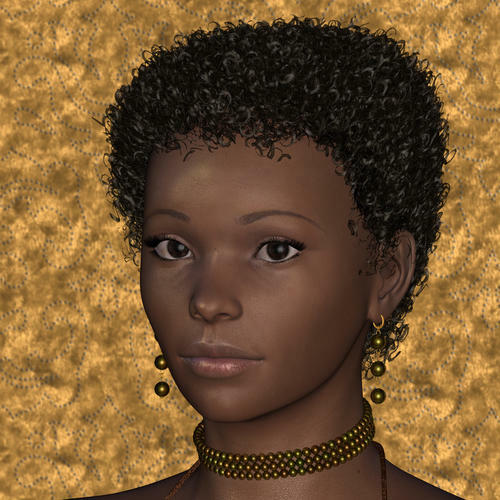 I posted an Aura render in the Beautiful Black Hair Styles thread. Finally got on my work PC. Here's a better closeup of Mina with clear lights and zero postwork. I agree, I always thought her skin was a little too light but I wasn't sure. I'll try to darken it... I have no idea why I gave her such light hair! I'll change it to a dark or black texture. The hairstyle I have to keep because it's so practical (this novel has a lot of action and this hair doesn't need to be moved/morphed too much!) I may see what she looks like with darker eyes too... I think I accidentally used the main character's blue eyes preset on Mina! Now that I posted a better close up, what do you think of her facial structure now? I think you got the facial structure just fine. Darker hair, brown or black eyes.. and darken her skin a little, doesn't have to be a lot to be convincing. She's also kinda red, but it might be the light or the shader. Try shifting it a bit to the yellow side but not so much she looks sallow. There's a fine line between too red, sallow, ashy, and perfect.. it's harder to find that perfect spot in 3D the darker the skin gets. I really like her makeup and eye shape. @LizzieP, I do like that facial structure. :-) Depending on what skin texture you are using, the "diffuse tan" approach could be used to darken her a little. Select all the skin surfaces and dial in a light grey into the Diffuse channel. As Fisty described, you can tweak a little away from pure grey to make changes in tone, but this will go bad quickly if you go too far. The other thing to watch out for, as pointed out here many times, is the palms and soles. Where the diffuse tan really breaks down is on the palms and soles. Too much darkening, and the palms and soles look awful. The model will look "spray-painted" if you go too far. At that point, it's better to either find another texture set, or "pre-work" the existing texture, darkening it everywhere but the palms and soles. She does look a bit too red, almost like she got one of my sunburns! LOL It looks like it's more of a texture problem than a shader problem since the shader I built doesn't add much color, it's very neutral. I'll see what I can come up with in darkening the skin, hair, and eyes too. I'm looking at the texture and it's something I cobbled together from existing textures (personal use only, of course!) with the base being something by Surreality. I never use anything "out of the box", I've always got to tinker with things! I'll rework the texture to make it darker and less red which is actually easier for me than messing with that shader I built. I made the face morph myself, I think. I do believe that for the lips I used a combination of the morphs from Colm's Luscious Lips set from RDNA which are quite awesome. I probably used his Enigmatic Eyes morphs too. Oh, it's V4 all the way. I'm in Poser Pro 2012 and have yet to try that Genesis to Poser tutorial I downloaded a few weeks ago because I haven't had the time. Pretty render! I almost used the Marie Elite texture as my base for Mina but I can't remember now why I didn't. I tried a bunch of different textures for the base before settling on the one I'm using. Okay, attached is an updated preview of Mina. Better? Worse? So-so? @LizzieP, Looking good. Just to experiment, you might want to try one of the free textures available on rendercandy.com. The Doll texture might work well on your character. Lighting is fairly basic - just a distant light and a couple of spotlights - I'm still not so good on lighting. 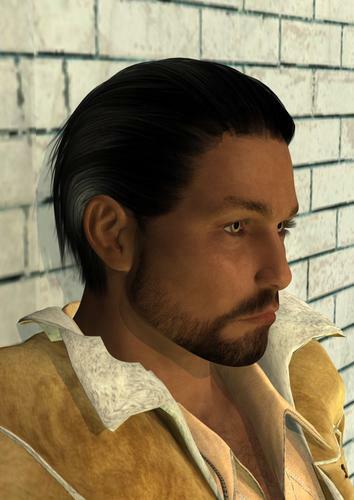 Genesis Kumar, Pure Hair Classic, clothing is M3 Lone Wolf with the exception of the jacket which is M3 Daedalus Sky Mercenary.